Horse racing fans are familiar with famous races such as the Kentucky Derby, Grand National, and Prix de l’Arc de Triomphe. Many consider these three of the top and most difficult horse races to win in the world. However, there is one race tucked away in the Czech Republic that trumps all others in difficulty. The Velka Pardubicka Steeplechase is known as the world’s toughest horse race and few people know much about what amounts to an endurance contest for horses. 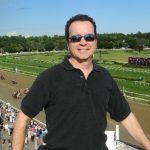 Horse race aficionados looking for great offers can get them courtesy of Borgata casino promotions and never miss a fantastic event. What is the Velka Pardubicka Steeplechase? The Velka Pardubicka Steeplechase takes place 60 miles outside of Prague. Due to its location in Eastern Europe, it is unknown by many horse race bettors. Held on the second Sunday in October, the steeplechase has been run for 144 years having been established in 1874. It is the oldest cross-country horse race in the world. While other countries boast exciting steeplechase events, the Velka Pardubicka Steeplechase tests endurance more than any other. The race is 6.9 kilometres long and snakes across the Czech countryside. Not only do horses navigate 31 obstacles, they must run over fallow farm fields and through water hazards. Most of the race does take place on grass, but the natural quirks of the Velka Pardubicka Steeplechase make it even more difficult to finish. How difficult is the Velka Pardubicka Steeplechase? It is called the most difficult cross-country race in the world. 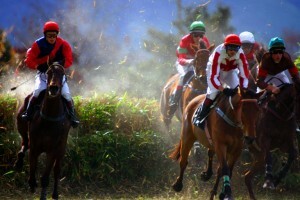 Horses and jockeys must navigate 31 obstacles and natural hazards. The race covers 6.9km and horses have their endurance tested throughout the race. In the Velka Pardubicka Steeplechase’s near century and a half existence, there has never been a race in which all starting horses have finished the event. It is a testament of just how tough a race it is to run much less win. The course’s Taxi Ditch has become known as its most infamous jump obstacle. How difficult is the Taxi Ditch? Horses aren’t allowed to practice using the jump and only experience it on the day of the race. It is a leg breaker of a jump and one poor leap over it can end the life of a race horse. The Taxi Ditch features a 1.5-metre-high hedge with a one metre deep, four-metre-long ditch on the other side. The Taxi Ditch isn’t the only difficult jump, although it has become known as the toughest on a course of seemingly impossible obstacles. Horses and riders must climb up and down a steep bank known as the Irish Bank. They must also get past the French Jump which features two closely set hedges that must be jumped together. Despite it being a difficult race to run, Zeleznik won it four times. Jockey Josef Vana rode the horse to victory on all four occasions. Vana went on to win the Velka Pardubicka Steeplechase four more times during his 28 attempts.